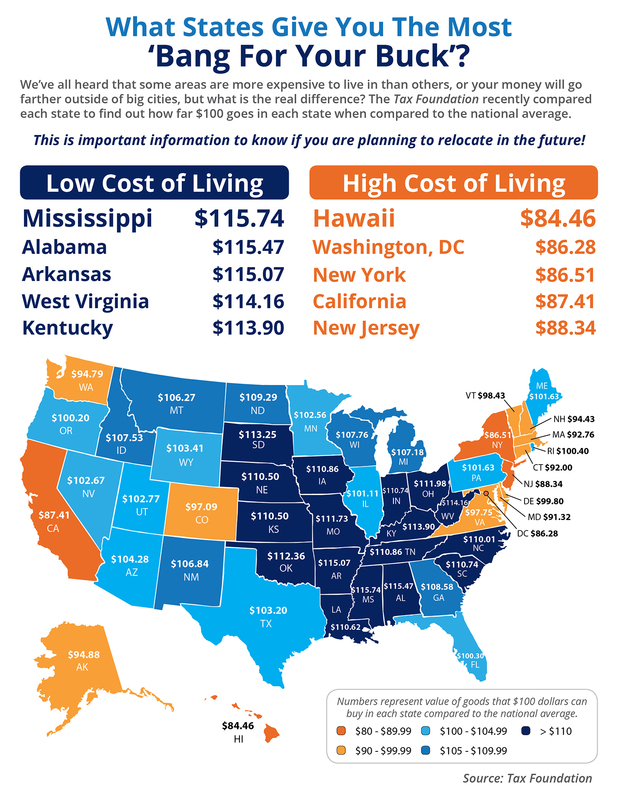 The majority of states in the Midwest and South offer a lower cost of living than states in the Northeast and West. The ‘biggest bang for your buck’ comes in Mississippi where, compared to the national average, you can actually purchase $115.74 worth of goods for $100. For more information regarding the methodology used to create this map, visit the Tax Foundation.